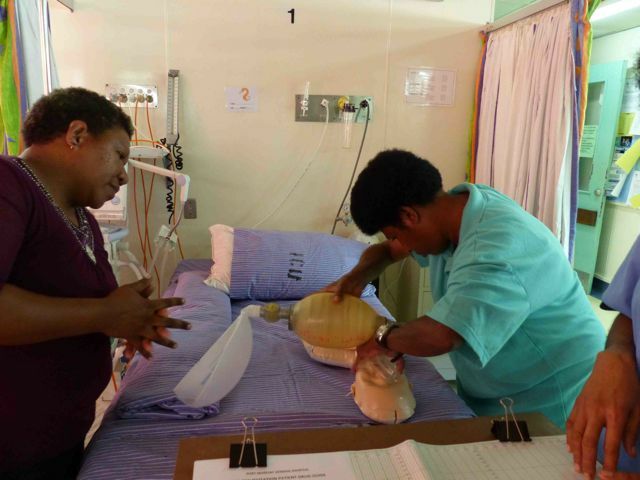 Over the past 20 years that OHI has been coming to PNG, a lot has been achieved in educating local staff and building programs within the hospital. 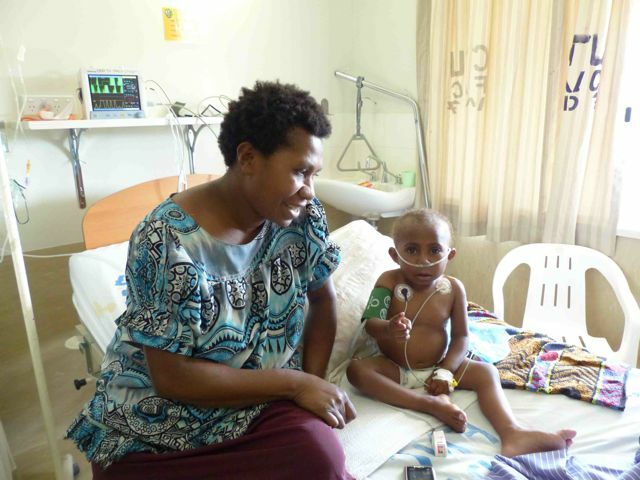 The most important long-term goal of the program in PNG is to make the country self-sufficient. 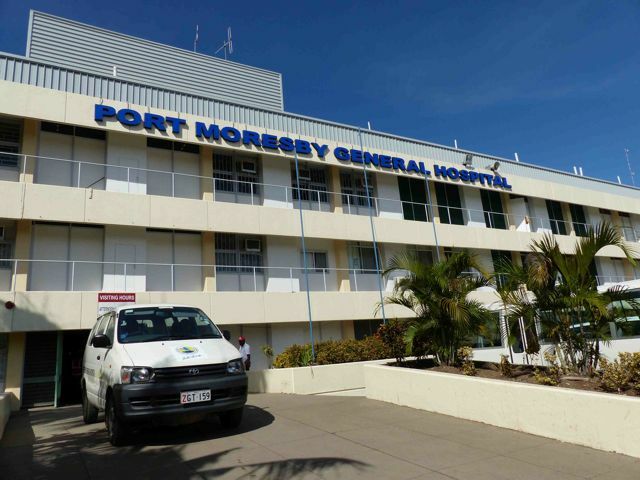 It would mean that PNG would have the only cardiac surgery program in the East Pacific Islands. Walking around the hospital, the legacy that the team has left over the years is apparent. 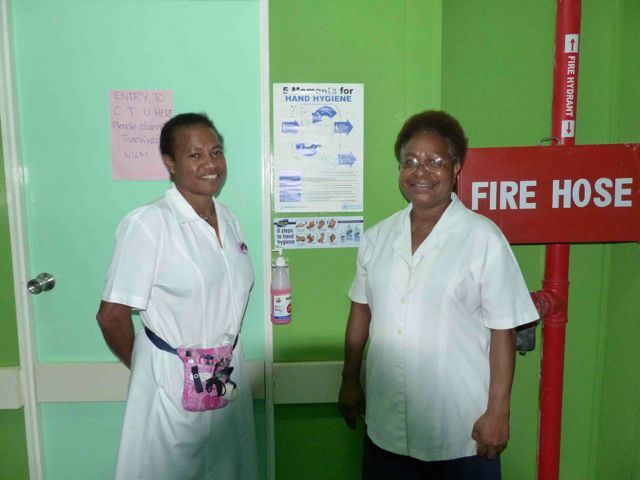 One example is the hand washing and general hygiene stations all throughout wards and ICU. These simple procedures and protocols put in place by the team are essential for infection control, stopping cross contamination, reducing hospital acquired infections and producing positive outcomes for patients. Essentially countless lives have been saved these simple practices put in place by the local team inspired by OHI to improve. After unpacking today, the team got straight into educating the local staff. Walking into a room full of nurses singing “Staying Alive” while carrying out CPR on mannequins is quite a sight! 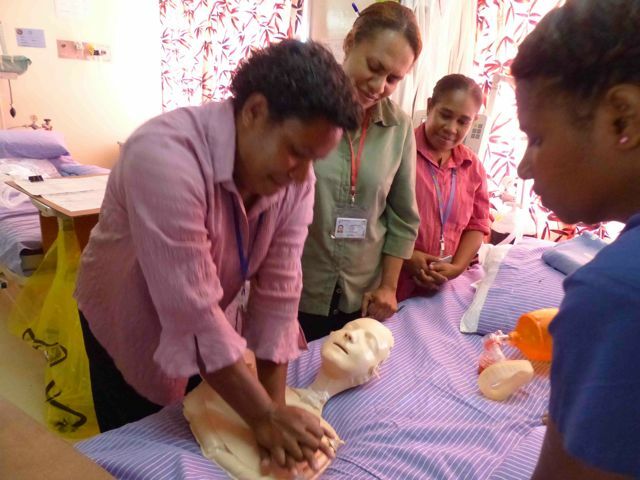 Our nursing team has wasted no time in teaching and also examining the skills of the local staff. 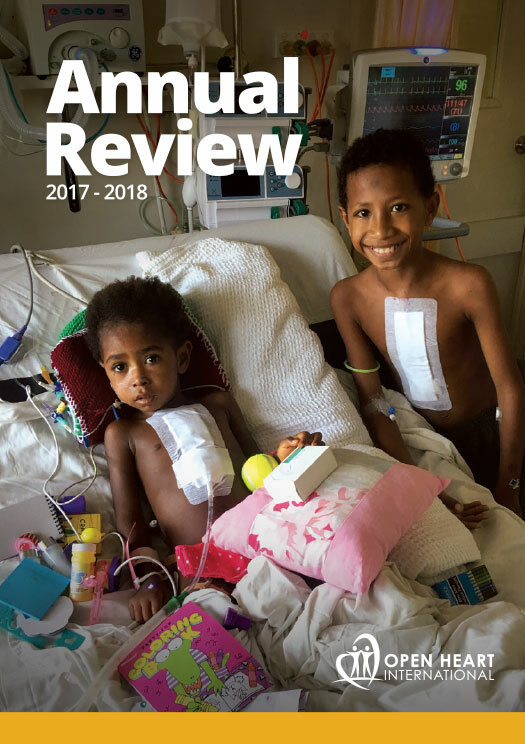 I am in awe of how the hospital community has changed. Over the past few days the local hospital staff have been carrying out “closed” heart surgeries. These are the more “simple” cardiac procedures that can be undertaken. Bypass techniques are not used, and a repair can be made while the heart still continues to beat. The local surgical team had even started these operations without our presence in the country, and a reflection on years of skill development and training by OHI. It is amazing how far this project has come in 20 years, and these steps are important in obtaining that long-term goal of being self-sufficient. I’ll let you know how the all educational programs progress over the next few days.